Every year, Sydney Opera House lights up its sails with projection art as part of the Vivid Sydney Festival. The smooth, white wings of the building – iconic in their own right – provide an ideal architectural canvas for the work of whichever artist it is that’s commissioned for the annual event. This week, the Opera House announced they will be capitalising on their in-built canvas more regularly. 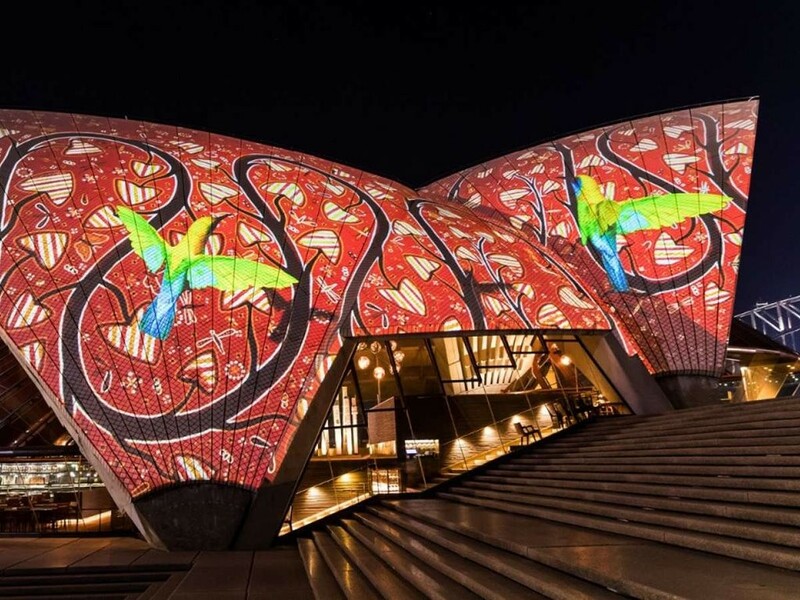 Nightly and year-round, visitors to the Circular Quay area will be subject to an art exhibition called Badu Gili, a 7-minute-long projection that celebrates the culture and stories of the Gadigal people, who were the traditional owners of Bennelong Point land. Badu Gili means ‘water light’ in the Gadigal language. The projection, which began last night, combines the work of five artists from Australia and the Torres Strait Islands, which has been set to mixed music to create a multi-sensory exhibit. Work from Queenslander Jenuarrie (Judith Warrie), NSW artist Frances Belle Parker, Torres Strait artist Alick Tipoti, and the late artists Lin Onus and Minnie Pwerle will form part of the twice-nightly animation, which will play at sunset (season dependent) and at 7pm each evening. The projection has been curated by the Opera House’s head of First Nations programming, Rhoda Roberts AO. More information and viewing times can be found here.